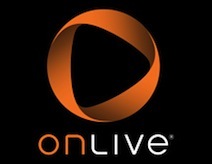 For anyone who likes gaming, it looks like OnLive may be a contender. I’m currently a fan of steam, but there may be room in my ecosystem for two services that store my games and promise that I can get back to them. Let’s see what this is all about and if OnLive can handle the traffic. I’ll be there shortly after 7:01 MST (Thursday, June 17, 2010 at 9:01 PM EDT / 6:01 PM PDT). Sign up now and you get a free year of OnLive Membership. This entry was posted by Ben Holt on June 17, 2010 at 3:04 pm, and is filled under Business, Life, Programming. Follow any responses to this post through RSS 2.0. You can leave a response or trackback from your own site.